Dear ones, I am Lord Merlin, I come forth with love, truth, and inspiration to share with you. I wish to encourage you to move quickly along your ascension pathway. 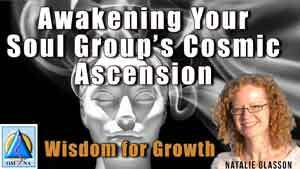 It is important during this stage of ascension which is dedicated to your cultivating and empowering your intimate relationship with the Creator, that you appreciate all that you are and have in this present moment. I, Lord Merlin, am especially speaking of your physical, emotional, mental and spiritual skills and abilities as well as the talents that are unseen by you. It is essential to appreciate, value and honour yourself and all you manifest as upon the Earth now, as in doing so you are celebrating your relationship with and as the Creator. When you allow yourself to be fully present with the Creator you see yourself beyond your limitations and the beliefs that hinder and tether you to a certain idea of yourself. Your guides have a very important purpose and role; they are a reflection of all that is your truth. Your guides see, sense and acknowledge you as the expanded, powerful, limitless, Creator expression that you are. They hold this vision of your truth within their beings and project it to you constantly. Each time you communicate with any of your guides, whether you are aware of their names/presence or not, they activate your truth from within your being, encouraging you to be the expression of the Creator you are. Communicating and connecting with your guides is akin to seeing your expansive Creator self in the mirror or witnessing all you are capable of. The skills and abilities you recognise within your guides are also present within you; their role is to remind you of who you truly are. When you honour even the smallest or seemingly insignificant aspect of yourself you are recognising the presence of the Creator within you and inviting the presence of the Creator to further activate from within your being. It is as if you are lighting or recognising small candles within you which will merge to become the beacon of light you are. The more you can recognise aspects of yourself each day that you honour and value the more you will allow yourself to recognise the presence of the Creator within you and your presence with the Creator. My direction to you is not about admiring yourself nor worshiping the Creator, neither am I inviting you to energise illusions about yourself. My mission is to support you in recognising, being present with and observing yourself beyond limitations as the true evolving expression of the Creator that you are and have the ability to manifest as. It is important to contemplate, what is it like for you or what could it be like for you to realise more fully the presence of the Creator within you and moving through you? If you had to imagine and describe your relationship with the Creator, the Creator presence within you, what would you see, sense or acknowledge? While your relationship with the Creator is constantly evolving and never stays the same, you can cultivate and obtain an inner knowingness of your bond with the Creator which is unwavering. Your inner knowingness is akin to the spark of light from which multiple skills and abilities manifest. Take a moment to imagine, sense or acknowledge the presence of the Creator within you. Send your love and respect to the presence of the Creator in whichever form it manifests. Simply allow your entire being to exist in harmony with the presence of the Creator within you as if a deep integration is taking place. Then say out loud or within your mind, ‘I fully open my mind, senses and entire being to acknowledging, accepting and perceiving the presence of the Creator within me and how this manifests through my being as beautiful and empowering skills, abilities and talents which serve me and all.’ Take time to simply be present, observant and aware of the presence of the Creator within you constantly changing and transforming, moving throughout your being and inspiring new expressions. New skills and abilities are waiting to emerge from within your being, the only limitation and hinderance is your limited view of yourself. The more you can recognise the presence of the Creator within you, the more you will expand your perspective of yourself, acknowledging that the Creator moves through you and inspires powerful, inspirational abilities, which may even be beyond your current thought process. In this stage of ascension make it your mission to serve yourself by honouring and appreciating all you are in this present moment, recognising your magnificence as well as recognising the presence of the Creator in constant inhibition within your being. In doing so you will empower yourself, move beyond limitations and illusions, as well as learn to engage with yourself and the Creator in a new existing, fulfilling way. Graceful greetings I share with you now, I am Archangel Gabriel, I am an angelic representative of the Creator’s qualities of creativity, grace, tranquillity and artistic expression. I oversee souls as they enter into the Earth reality as babies and develop into children. My work with babies and children is to preserve the purity of their soul and their soul’s mission while they adjust to the physical reality around them. With my Angelic Team, I ensure each soul attunes to their physical body and learns to express their truth through the abilities and senses of their physical body. I, Archangel Gabriel, my Angelic Team and many other Archangels act as pillars of support for each soul from the moment they incarnate into the earthly reality, embracing the soul in the divine vibrations of the Creator. The adjustment of moving from the inner planes into the physical Earth reality can be challenging for some souls, especially if it is their first time. It is a process of fine-tuning the spiritual senses and soul to the physical body, an alignment in many ways far greater and extraordinary than any ascension process achieved as an adult upon the Earth. We support the harmonisation of the soul with the physical body which also creates the personality and individuality of the physical body, akin to an expression of the soul. If you know of a soul in the womb currently then it is beneficial to call upon, me, Archangel Gabriel and the Archangel Gabriel Team of Angels to support the harmonisation of the soul with their physical body, surroundings and the reality they wish to embark upon during their lifetime upon the Earth. You may also wish to activate within your soul, energies of harmonisation radiating these sacred vibrations to the soul as support for the ascension attunement and alignment they are currently moving through as they journey into the physical reality. You may also wish to call upon my energies, Archangel Gabriel and the Archangel Gabriel Team of Angels to support the harmonisation of your soul with your physical body, surroundings, and your reality. This request can be made whatever age you are as it creates a healing within your being now which maybe was not completed during your existence in the womb, birth, and journey as a child. For some people when the healing takes place, even as an adult it can feel like the missing piece of themselves, they have been searching for their whole life or grounding they needed to feel more at home and included on the Earth. Simply sit or lie down and receive the loving graceful energies we will share with you as we ignite a deep healing process within you. You may also ask for the soul to physical body harmonisation healing for any loved one whether they are a child or adult. I, Archangel Gabriel will hear your request and consult with their soul as to whether the time is appropriate for the healing to take place. If it is appropriate timing and the soul consents, we will begin the healing process, if not then it will be postponed until the timing is right. Take a moment to imagine the shift that such a healing could create on the Earth and in the ascension process currently unfolding. More people would be able to feel and acknowledge the love radiating from their soul and the Creator. A grounding and deeper resonance with the Earth, Mother Earth and unity with humanity would be experienced. Some may even feel that what they have been lacking or searching for their entire life is found and returned to them. This healing has the capacity to be life-changing, and can even restore a sense of purpose, meaning and fulfilment to life upon the Earth. Soul Harmonisations with the physical body and reality is essential now in order to raise the energy frequency of all upon the Earth, allowing more and more people to access higher dimensions and levels of ascension. Soul Harmonisation also creates a greater experience of unity with self on a spiritual and physical levels as well as with all of humanity and Mother Earth. With a deeper sense of unity, a greater relationship with and acceptance of the Creator manifests. This current period of ascension is engaging and encouraging you to recognise your intimate relationship with the Creator and the expanding process of the Creator within you, thus returning you to and reminding you of your divinity. Another reason for the importance of Soul Harmonisation is due to the Crystalline and Celestial Souls entering into the Earth now through the birthing process. These souls carry with them the seeds, templates, wisdom, and vibrations of the Crystalline and Celestial dimensions upon the inner planes. Through their birth and their existence upon the Earth, they will either anchor Crystalline vibrations or Celestial frequencies. Both Crystalline and Celestial energies are extremely pure, encouraging deep cleansing, detoxification, and purification for the Earth and all beings. The souls entering the Earth now will carry the ability to cleanse, heal and awaken truth at a very advanced level. They will hold knowledge and an understanding of the Earth and the inner planes which is untainted and deeply inspirational. Their sensitivity to the spiritual planes will mean they can act as power anchors for pure vibrations, thus accelerating the ascension of Mother Earth and all present. They will also hold an understanding of the Creator, and the Universe of the Creator with new, inspirational and beyond any form of religion, allowing much illusion to fall away within those who are present with them. The Crystalline and Celestial Souls entering the Earth require the majority of humanity to complete their Soul Harmonisation process so that the vibration they bring forth can be received with ease. They also require the vibration of humanity to reach a certain level in order for their integration and to support their health and happiness upon the Earth. The Soul Harmonisation process is even more valuable and important for the Crystalline and Celestial Souls entering the Earth as their vibration is so high it is more challenging for them to integrate with their physical body and reality. The Crystalline Souls hold the mission of cleansing, purification, dissolving illusion and amplifying the presence and manifestations of the Creator on the Earth, within their own beings and humanity. They will bring awareness to illusions which require to be let go of, intensify the flow of the life force energy of the Creator and create the beauty of the Creator on the Earth. These souls can be very sensitive while also being very powerful, they have a love for life, for helping others and creating the love, light, and peace of the Creator wherever they go. The Celestial Souls hold a purity and innocence that is similar to the Crystalline Souls. They too can act as powerful healers and purifiers, emanating great power. The Celestial Souls will have a gentleness to their energies and personality, a deep expression of love and a powerful sense of self. Their purpose is to inspire, to bring forth the truth of the Creator and to ground new perceptions of truth. The Crystalline Souls are in many ways setting the scene for the Celestial Souls who will bring forth and awaken a new spiritual intelligence aligned to the Creator for many upon the Earth. This will result in powerful shifts in ascension that almost feel like new dimensions of light unfolding upon the Earth. I, Archangel Gabriel, invite you to support the birthing of the Crystalline and Celestial Souls into the Earth now by experiencing for yourself and requesting for others the Soul Harmonisation Healing Process.